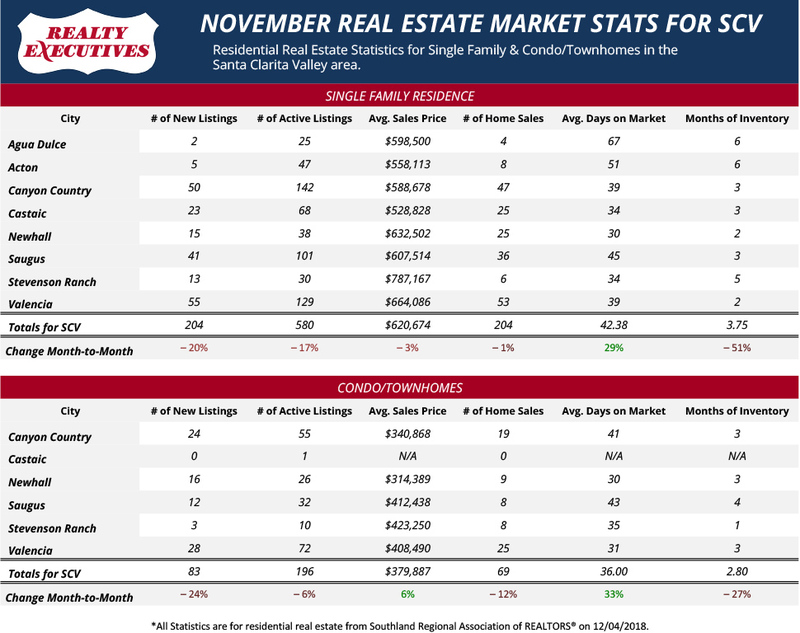 Single Family Homes*: The number of new listings in the Santa Clarita Valley area decreased by 20 percent from October to November 2018, ending the month with 204 new listings. The total number of active listings decreased by 17% to 580 total active listings. The average sales price in the SCV area is $620,674. The average sales price in the Santa Clarita Valley area went down 3 percent from October to November. The number of homes sold in November decreased by 1 percent from October to 204 SFR home sales. Condos & Townhomes**: The average sales price in the Santa Clarita Valley area is $379,887. The average sales price around SCV went up just over 6 percent from October to November. Santa Clarita Valley area’s condos & townhomes resale inventory is 196, which decreased 6% from October. 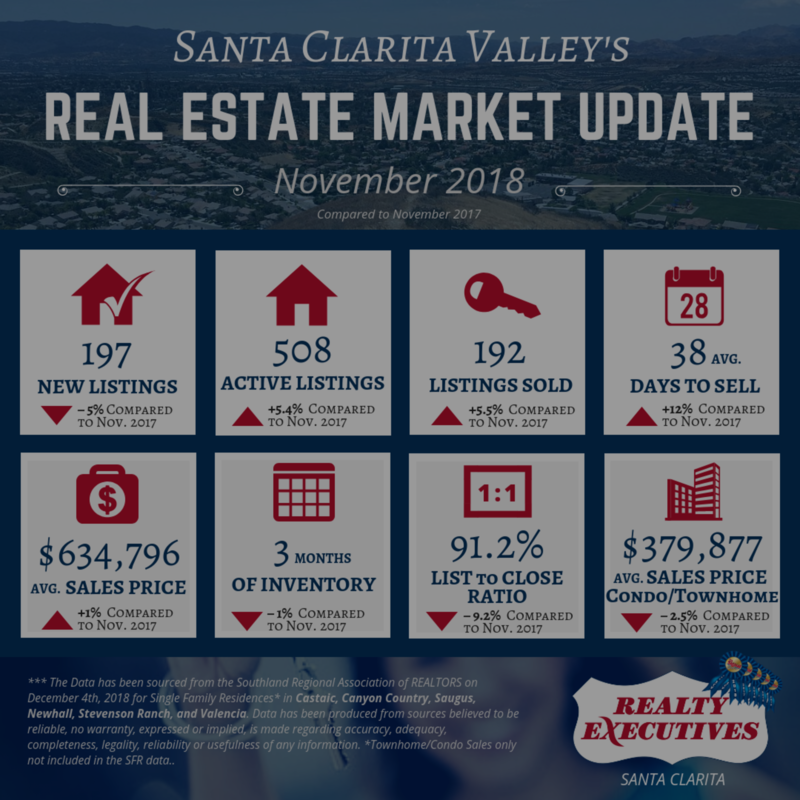 The number of new listings in the Santa Clarita Valley area dropped by 24 percent from October with 83 new listings in November 2018. Single Family Homes**: The number of new listings in the Santa Clarita Valley area decreased by 5 percent from November 2017 to November 2018, ending the month with 197 new listings. The total number of active listings increased by almost 5.4% to 508 total active listings from year-to-year. The average sales price in the SCV area is $634,796. The average sales price in the Santa Clarita Valley area went up 1 percent from November 2017 to November 2018. The number of homes sold in November 2018 jumped over 5 percent from November 2017 to 192 SFR home sales.